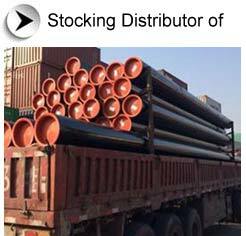 ASTM A106 Grade B Pipe make Brasimet Corporation-japan at best price available for immidiate delivery worldwide,Aesteiron Steel Pipes is Largest Supplier,Distributor & Stockiest of ASTM A106 Grade B Pipe,we are approved vendor & supplier of ASTM A106 Grade B Pipe in GASCO, KNPC, SAUDI ARAMCO, SABIC, ORPIC, NIORDC,PIDMCO etc,Aesteiron Steel Pipes is also Dealer & Distributor of leading Manufacturers in Japan of A106 pipe & tube like BRASIMET INDUSTRIES CORPORATION,DAIICHI STAINLESS KOKAN Co.Ltd.,HANEDA PIPE WORKS CO. LTD.,IGETA STEEL TUBE INDUSTRIES CO. LTD.,JFE STEEL CORPORATION,KOBE SPECIAL TUBE CO. LTD.,NAKATSU KOKAN KOGYO CO.,LTD,NAS TOA CO. LTD,NIPPON METAL TUBE CO. LTD,NIPPON STEEL & SUMIKIN PIPE CO. LTD,NIPPON STEEL & SUMIKIN STAINLESS STEEL PIPE CO.LTD,SUMITOMO METAL CORPORATION,NISSHIN STAINLESS STEEL TUBING CO. LTD,NKK TUBES,OSAKA STEEL TUBE CO. LTD,SANKIN CORPORATION,SANKYO SPECIAL TUBE Co. Ltd,SANYO SPECIAL STEEL CO. LTD,SHOWA STEEL TUBE WORKS Ltd,STAINLESS KUZE CO. LTD,STAINLESS PIPE KOGYO CO. LTD & TOKYO SEIMITSUKAN CO. LTD.
we are having global Sales network & appointed sales agents with adequate stock of ASTM A106 Grade B Pipe in UAE,Kuwait,Saudi Arabia,Australia,Indonesia,Malaysia,Bahrain,Singapore,Thailand,UK,Canada,Brazil, Venezuela,Kazakhstan,Sudan,South Africa,Mozambique,Nigeria,Kenya,Tanzania for quick delivery of ASTM A106 Grade B Pipe with mill certificate & all required documents. ASTM/ASME A106/SA106 seamless carbon steel pipe is used in industrial applications involving high heat, including process piping, boiling plants, compression stations and refineries. The additional silicon boosts this product’s performance in high-temperature environments, such as steam lines and processing applications. ASTM A106 Seamless Pressure Pipe also known as ASME SA106 pipe covers seamless carbon steel nominal wall pipe for high-temperature service. Suitable for bending, flanging and similar forming operations. ASTM A106 is Standard Specification for Seamless Carbon Steel Pipe for High-Temperature Service.A106 is a similar pipe in chemical composition but is intened for high temperature service (up to 750 Degs F). It is a seamless pipe. there is usually A53 for welded pipe while A106 is seamless. A106-B contains silicon, min. 0.10% where A53-B has zero%, and silicon is the important element for improving the heat resistance criteria. A106-B contains manganese 0.29-1.06%, where A53-B 1.2%. A106-B contains low sulfur and phosphorus, max. 0.035% where A53-B contains 0.05 and 0.045% respectively.